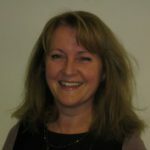 I am a Chartered Clinical Psychologist specialising in working with people of forty five years and over. I chose to specialise on working with this client group. My work has predominantly been in the mental health field although I have some experience working with people with physical health problems and pain. People come to me for help with a range of difficulties; anxiety and depression are common but not the only sources of distress and themselves may have many different underlying causes.Experiences of loss, often through bereavement but sometimes as a result of other major life changes and transitions, are a normal but often painful part of growing older. Sometimes people “lose their way” for a while and this can be very distressing. It is rewarding to help people find their way again and to seek a more fulfilling and meaningful life. I also work with people who are wondering if they have dementia, another common concern that arises as people notice changes in their memory and thinking. Very often worries are unfounded but talking this through and deciding what to do, as well as learning ways to manage memory lapses, can be helpful. Having first studied for Psychology at undergraduate level in Portsmouth, I then I completed my professional training as a Clinical Psychologist at the Salomons Centre in 1992. I have worked in the NHS since that time, in Kent, Suffolk and Hampshire and in addition to my private work, continue to work part-time in the Older People’s Mental Health Division of Southern Health NHS Foundation Trust. I am a member of the British Psychological Society and registered with the more newly formed regulatory body, the Health Professions Council. I can be found on the List of Chartered Members (BPS) and on the Register of Practitioner Psychologists (HCPC).